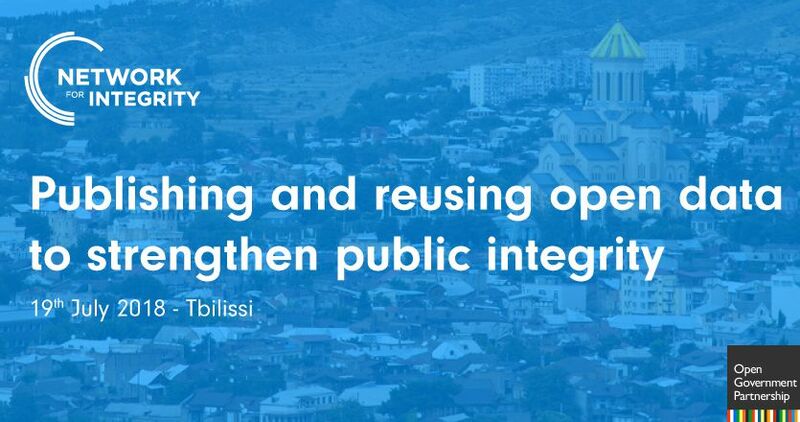 The Network for integrity, together with the Probity and administrative transparency Commission in Chile, will co-organize a session on “publishing and reusing open data to strengthen public integrity” during the Open Government Partnership (OGP) Global Summit that will take place in Tbilisi from 17 to 19 July 2018. This Network for Integrity session proposal was decided during the last gathering of its members in Paris, on 29 and 30 March 2018, as additionally one of its members comes from the host country. Indeed, after the French co-presidency, Georgia hosts 5th edition of the OGP Summit as the co-president of the partnership. The OGP, an international initiative created in 2011 and that now gathers more than 70 member states, 15 subnational governments and numerous civil society organizations, aims at promoting transparency of public action and its openness to new forms of consultation and citizens’ participation, increasing public integrity and use of new technologies in order to strengthen democracy, promote innovation and foster progress. Since its creation in 2011, more than 3 000 commitments for an open government have been taken by member states. Gonzalo Guerrero Valle, Executive secretary of the Probity and administrative transparency Commission (Chile). This session will be the occasion not only to mention and discuss results and challenges faced by the different participants but also to recall commitments of member countries in partnership with civil society organizations in the national action plans in the framework of the OGP in order to strengthen integrity and fight against corruption. Members of the Network that will be in Tbilisi will meet after the session to discuss the different working groups that are currently being created and the plenary session that will take place in Mexico in December 2018, a few days after the International Anti-Corruption Day, on 9 December, which will mark the second anniversary of the Network for Integrity.